We have a weekend of fun planned around here. I’m excited to see Argo this weekend, we’re hitting up the MFA for their Bank of America Museums on Us complimentary entry so we can see the Mario Testino exhibit (we only go on these free weekends because you never know how long the munchkin will last at a museum…), and we won entry to the Christmas at Fenway event this weekend – can’t wait, Santa will be there! Photo Credit: Mario Testino, Tom Brady, New York, V Man (detail), 2012. Digitally produced Chromogenic C Type print. © Mario Testino. I couldn’t help it, I’ve gone gangnam style…have you made yours yet? If you haven’t had enough, here’s more gangnam style – Christmas lights version. Onesies for grown-ups? My cousin was actually just talking/fantasizing about this! Why is this Target/Neiman Marcus line so expensive?! We have the McRib, they have Mac n Cheese and Shrimp Burger! 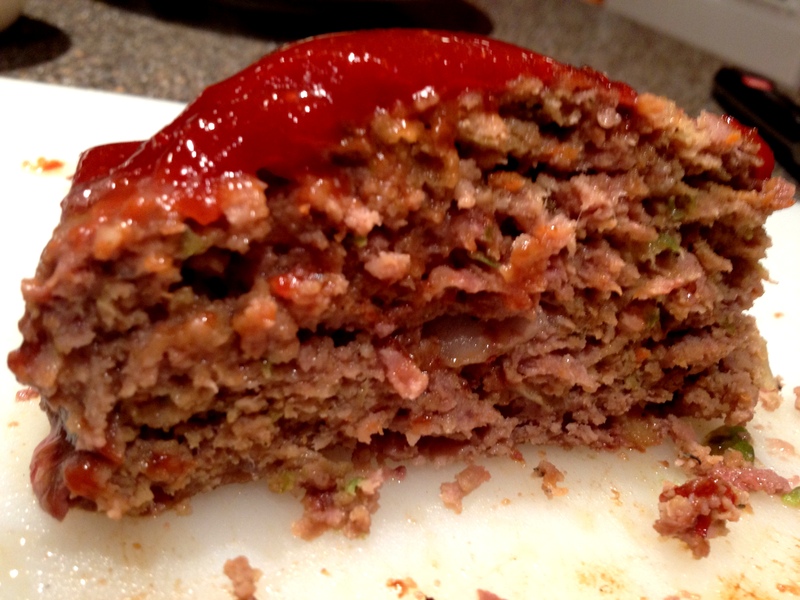 Growing up, I was never a fan of meatloaf. I don’t know why, because even then meatballs were my favorite food and meatloaf is essentially a meatball in loaf form. Well, meatloaf came up in conversation on Thanksgiving so we decided to make it this week and I have CHANGED MY MIND! This recipe was so good – moist and sweet from the glaze, with a little kick from the different kinds of pepper. We halved the recipe and I noted our other edits below. Heat oven to 325 degrees F (we suggest upping to 350 degrees). Combine the catsup, cumin, Worcestershire sauce, hot pepper sauce and honey. 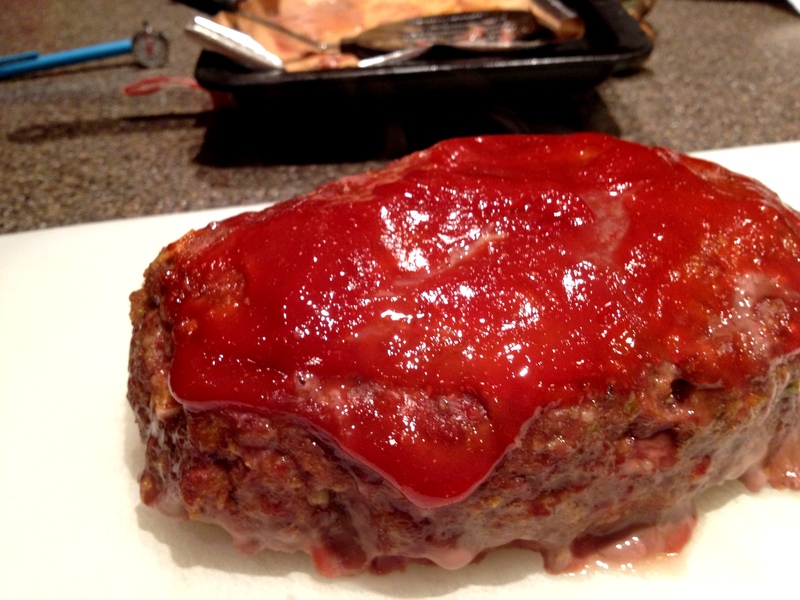 Brush the glaze onto the meatloaf after it has been cooking for about 10 minutes. (Total cook-time for our little half loaf was about an hour). 1. Chambray top from Old Navy, 2.iPad case from Madewell, 3. Polka Dot Scarf from J.Crew, 4. 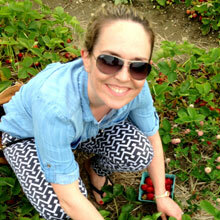 Polka Dot Sequin top from J.Crew, 5. Sam Edelman Slingbacks, 6. Polka Dot Christmas Tree stamp from Paper Source, 7. 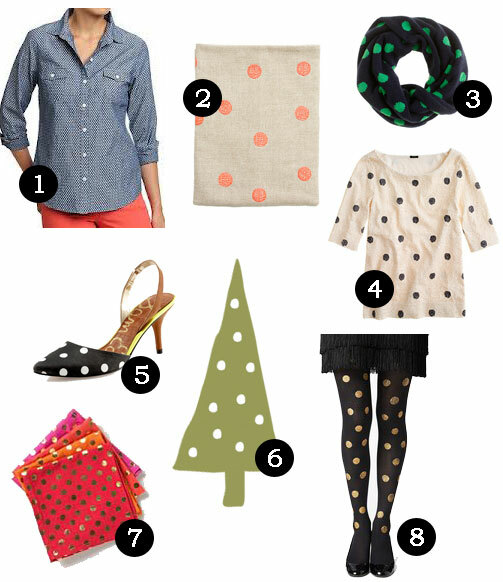 Anthropologie Foiled Dot Napkins, I am in LOVE with these, and 8. kate spade Gold Dot Tights. I had some leftover dough last week after making a pumpkin pie so I decided to throw together 3 little apple pies, so easy. Roll out your dough. 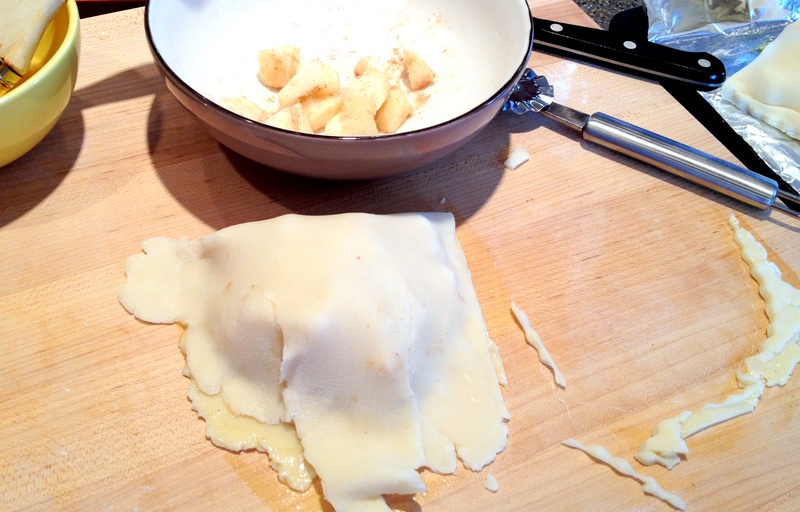 Mix cubed apples with a dash of sugar (depending on how sweet you want it), a sprinkle of cinnamon, and a bit of flour. Use egg wash to seal up the sides and then neaten them up with a ravioli cutter for a decorative look. 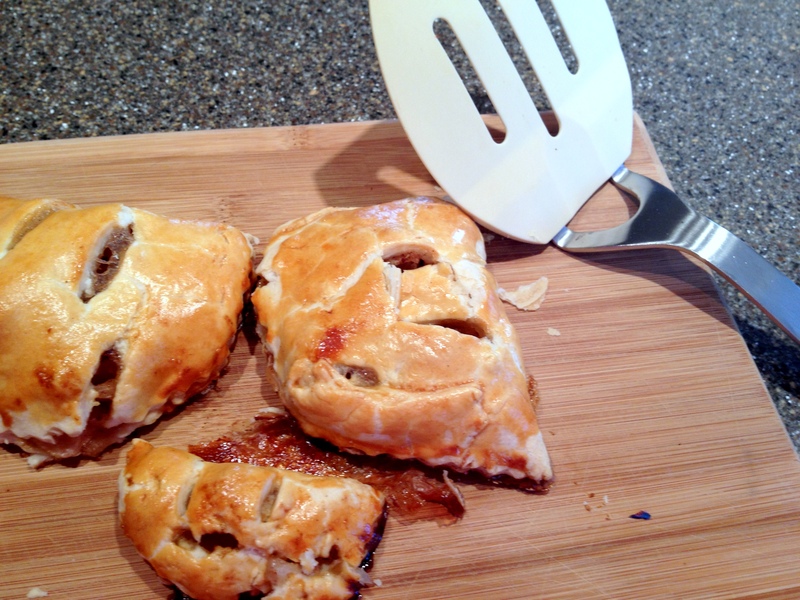 Bake according to your dough instructions and voila – three little pies (or however many you make). 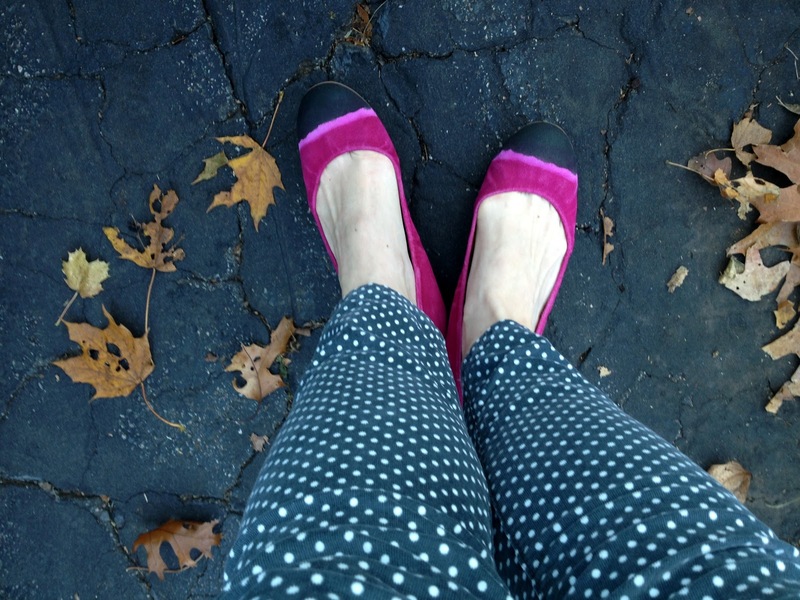 I found these shoes at the Anthropologie sale on sale this past weekend, aren’t they great? They add a nice pop of color to an otherwise simple outfit. Today, I am wearing them with my skinny leg gray cords, homemade peter pan collar shirt, similar to the one below, black cardy, pink hair accessory and Miss Fancy Pants on my nails. Have a great week! Happy Black Friday! I don’t think we’ll be doing much shopping today, but good luck if that’s what you’re up to! We have our annual extended family Thanksgiving get-to-together tonight; F.A.T (Foley Alternative Thanksgiving) which is always fun to catch up with the fam, eat MORE, and show off our sweet toddler girl. I’ve always referenced Martha’s list for Thanksgiving leftover recipe ideas. The turkey banh mi looks awesome. I can’t wait to go to Boston’s ICA to see this exhibit with some of my favorite artists.